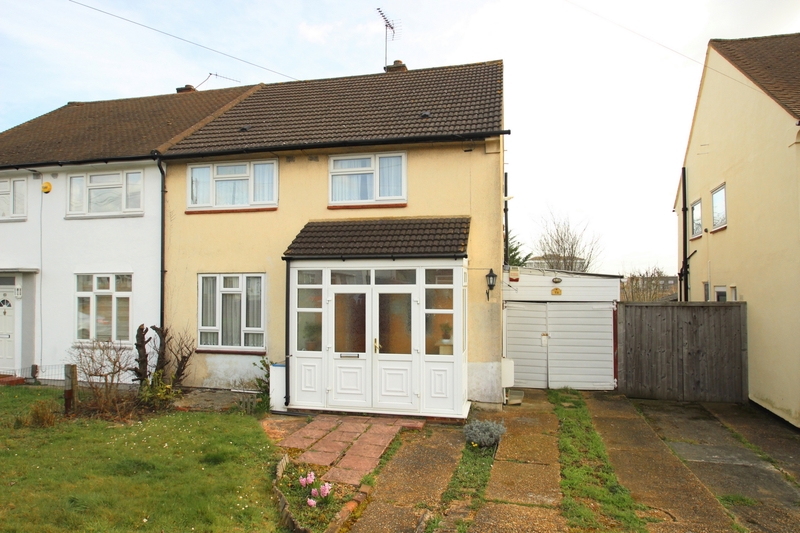 Kenton Estate Agents are delighted to present to the market this wonderful 3/4 bedroom semi-detached house situated in a popular location. 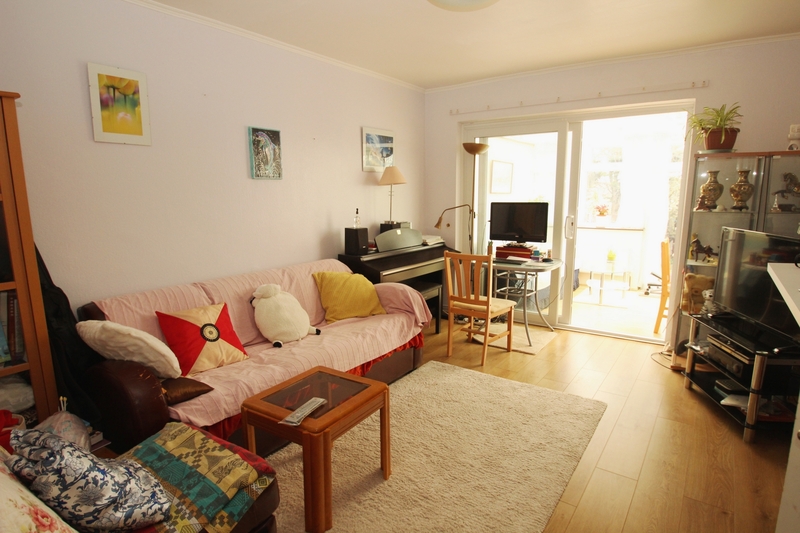 Internally, the property offers generous living accomodation throughout, comprising a large porch, opening on to a welcoming entrance hall leading to all accomodation. 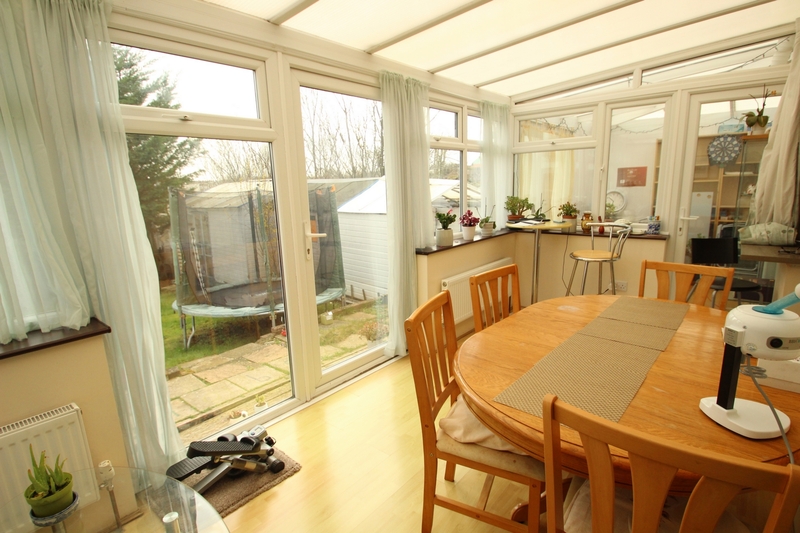 The lounge is spacious and bright, opening on to a conservatory which wraps around the property providing versatile living space. 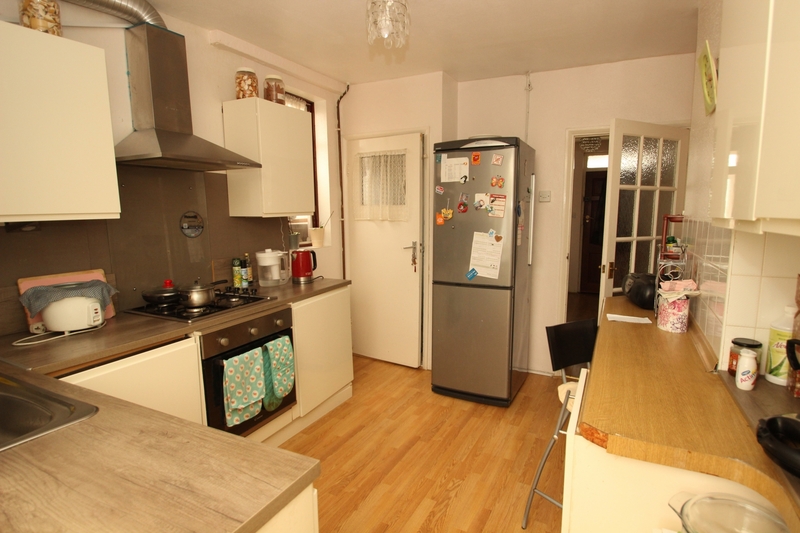 The kitchen is of a good size and leads to a substantial lobby area, there is also a downstairs W.C. and a second reception room which can be utilised as a fourth bedroom to complete the ground floor accomodation. 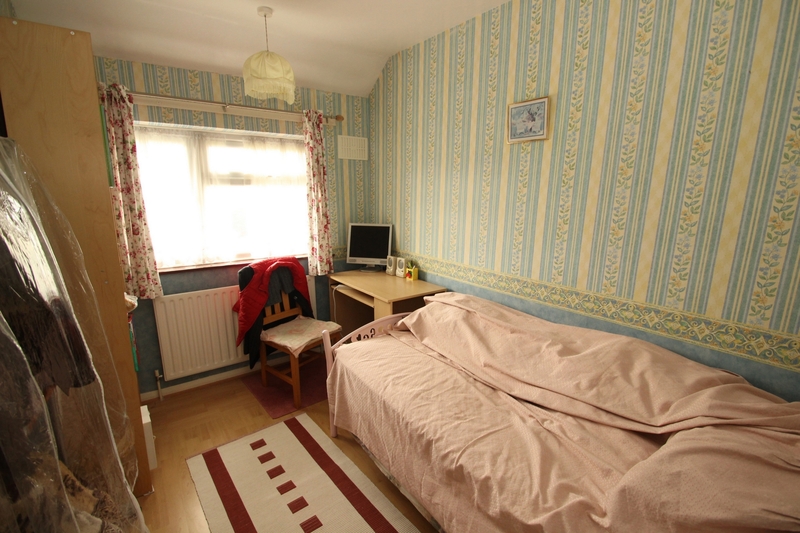 Upstairs, you will find three fantastic size bedrooms, and a spacious family bathroom. 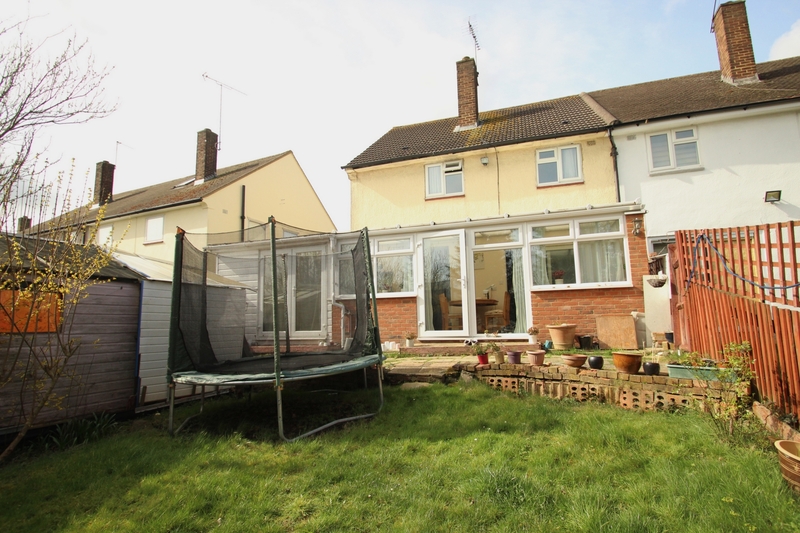 The rear garden is pleasant with two large sheds for storage, there is a paved driveway to the front providing off-street parking for multiple vehicles. 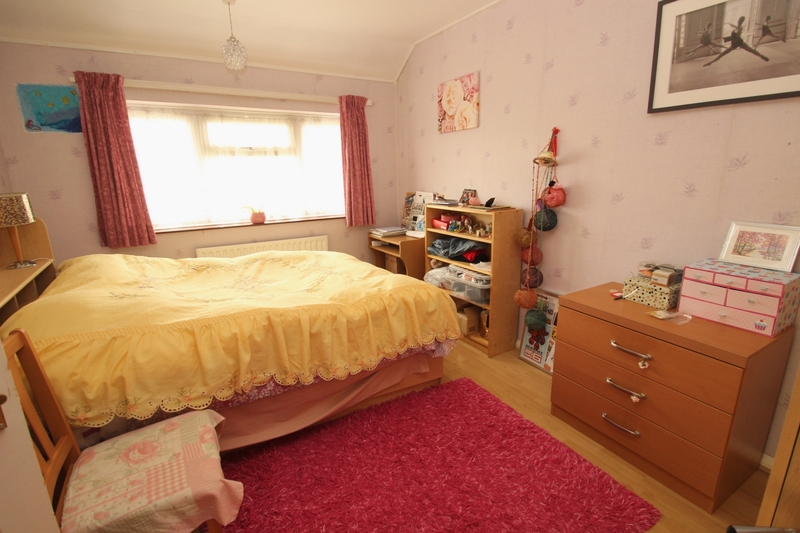 Breakspears Drive is conveniently located for many well-regarded schools and is approximately 18 minutes’ walk to St. Mary Cray Station with fast services into London Victoria. 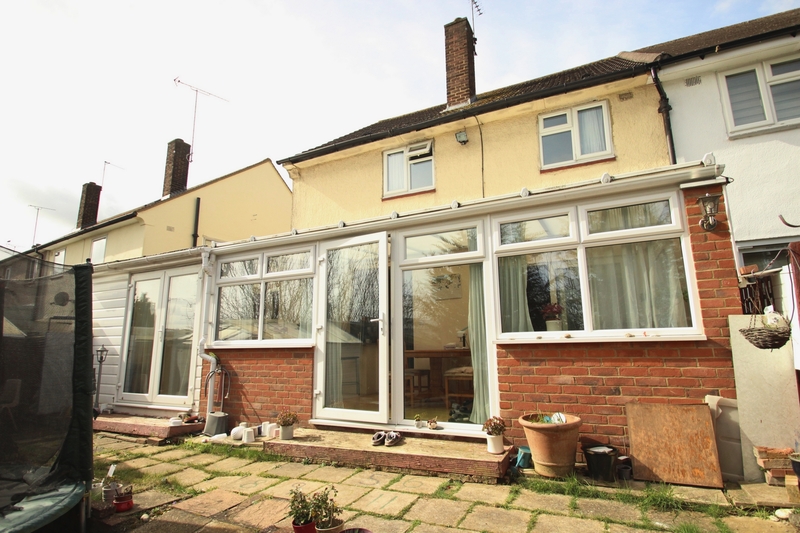 This property is in good condition throughout whilst offering a family the opportunity to re-configure and decorate to their own personal taste. 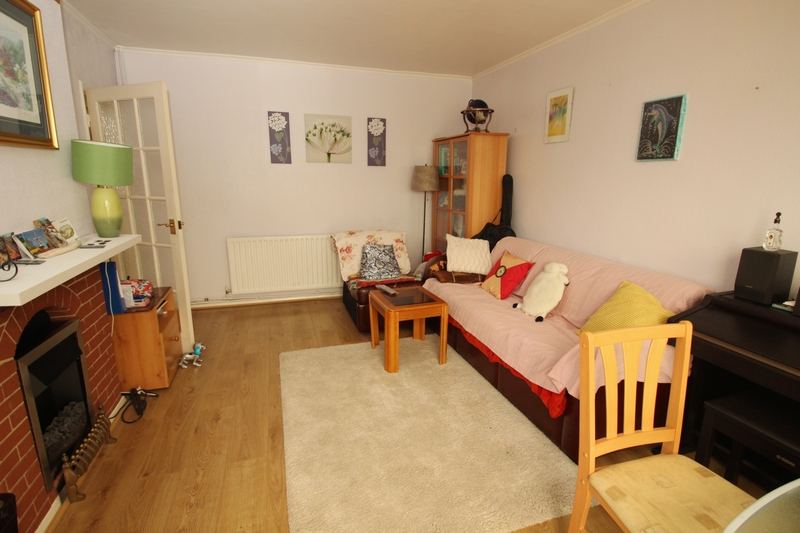 We highly recommend arranging an internal viewing in order to fully appreciate the scope of accomodation on offer. Call now to arrange your appointment to view. Double glazed opaque windows to the front and side, double glazed opaque door to the front, tiled flooring. 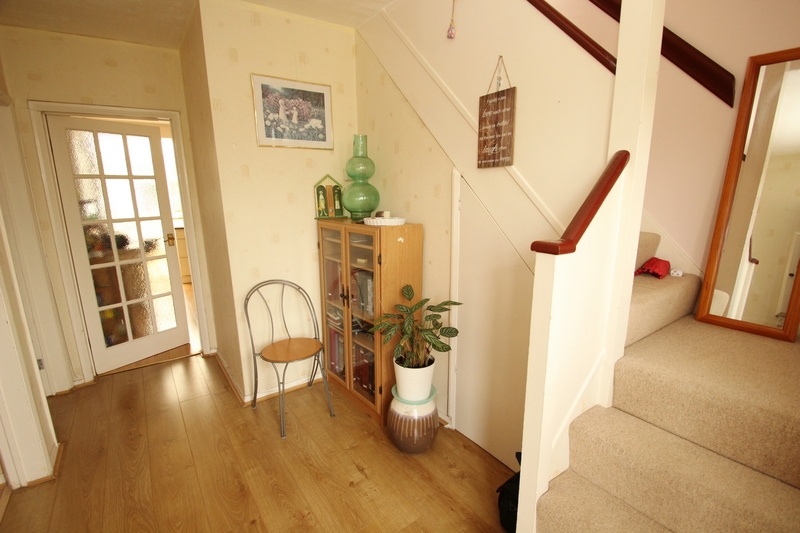 Staircase leading to first floor with cupboard under, radiator, laminated flooring. Double glazed sliding doors to the rear, feature electric fireplace, radiator, laminated flooring. 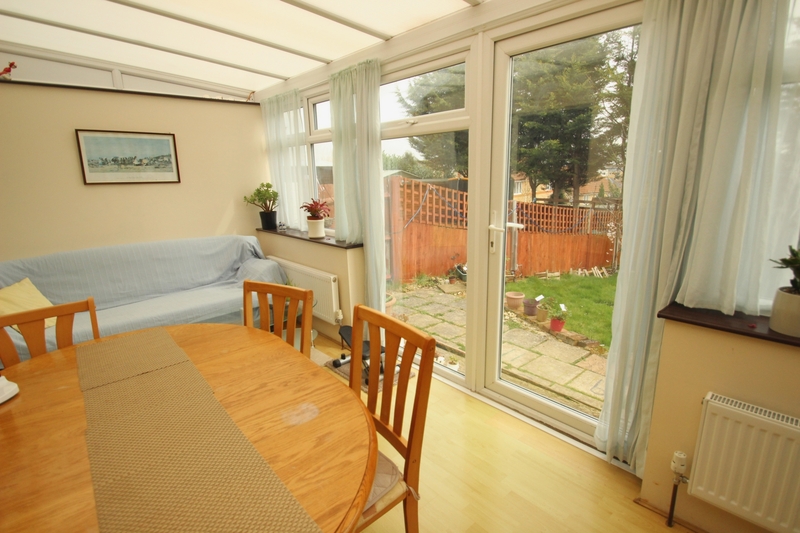 Double glazed windows to the rear and side, double glazed doors to the garden, radiators, laminated wood flooring. Double glazed door leading to the Sun Room. L-Shaped with double glazed door to the rear, and double glazed doors to the front leading to the Lobby, laminated wood flooring. Door to lobby and downstairs W.C., range of matching wall and base units, cupboards and drawers, integrated dishwasher, integrated hob and oven, stainless steel sink unit, space for upright fridge freezer, breakfasting bar, laminated flooring. Double glazed window to the front, radiator, laminated wood flooring. Single glazed opaque window to the side, low-level W.C., wash hand basin. Large storage area with wooden door to the front. Double glazed window to the side, two cupboards with one housing the hot water cylinder, access to loft, laminated flooring. 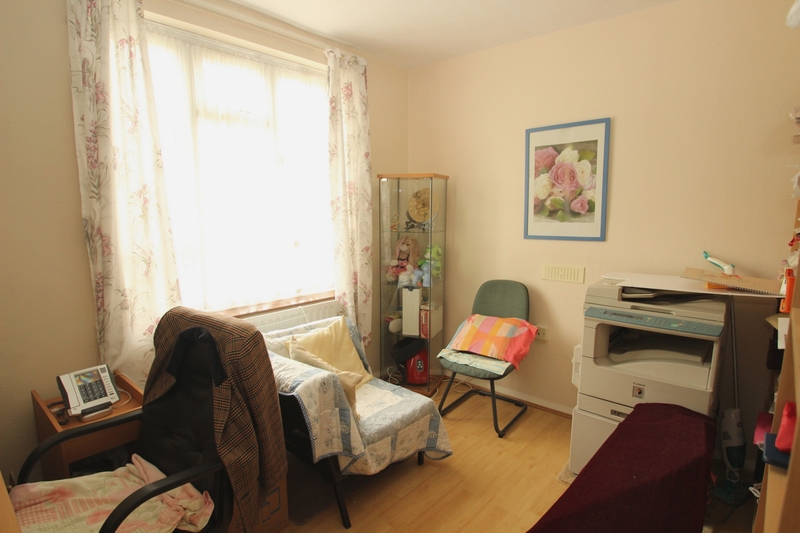 Double glazed windows to the rear, built-in wardrobe, radiator, laminated flooring. Double glazed window to the front, radiator, laminated flooring. 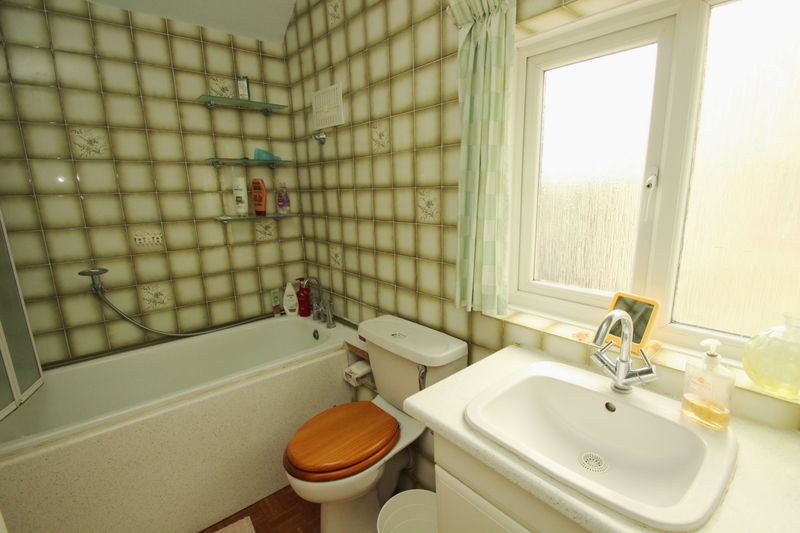 Double glazed opaque window to the side, panelled bath with shower extension over, low-level W.C., wash hand basin, radiator, laminated flooring. 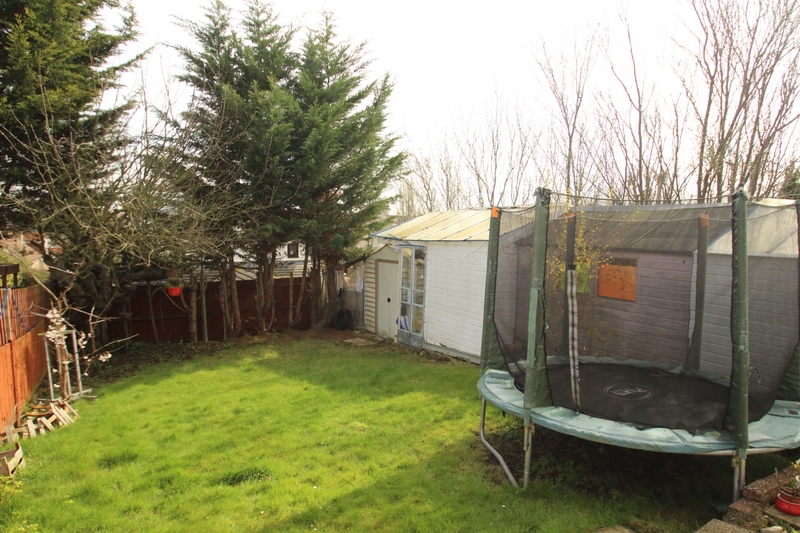 Patio area, traditional lawn, mature trees, sheds for storage. Paved driveway providing off-street parking for multiple vehicles, traditional lawn.